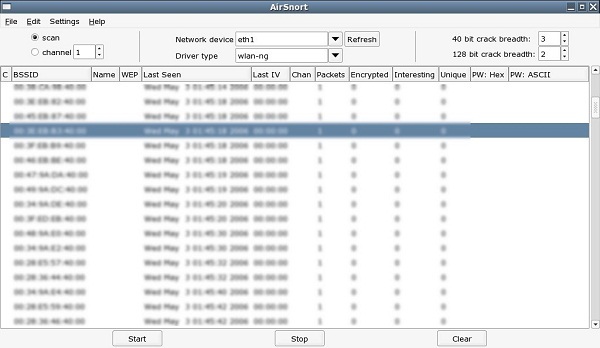 Download Airsnort WiFi hacking software: Airsnort is a popular Wifi hacking software used for decrypting wifi password on wifi 802.11 b network. It is also simple to use and free to download. It comes for both Windows and Linux Operating system. The only disadvantage is that this tool works for WEP network and not for WAP network. Also, this wifi cracking tool has not been updated for a while.